If you follow me on Instagram, you know that I just got back from a 17 day European trip with my travel buddy, Amanda (kevinandamanda.com). 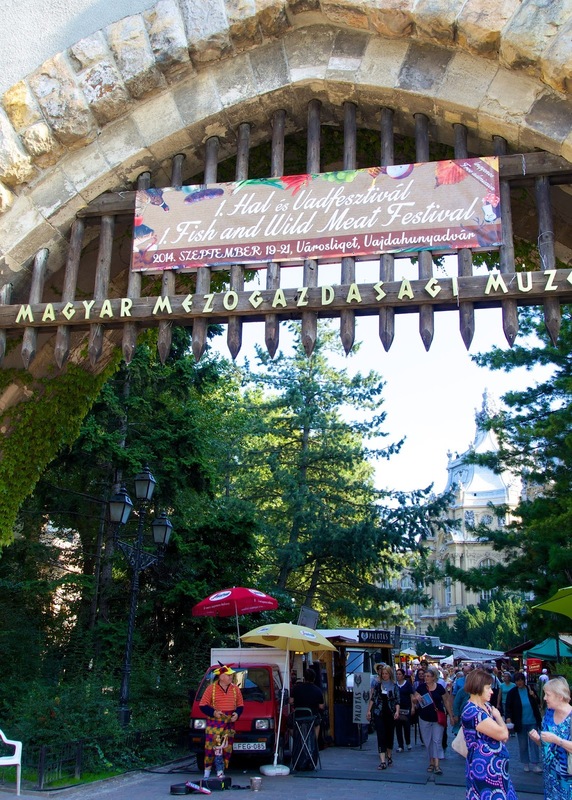 We went to Budapest, cruised down the Danube River and finished the trip in Munich. 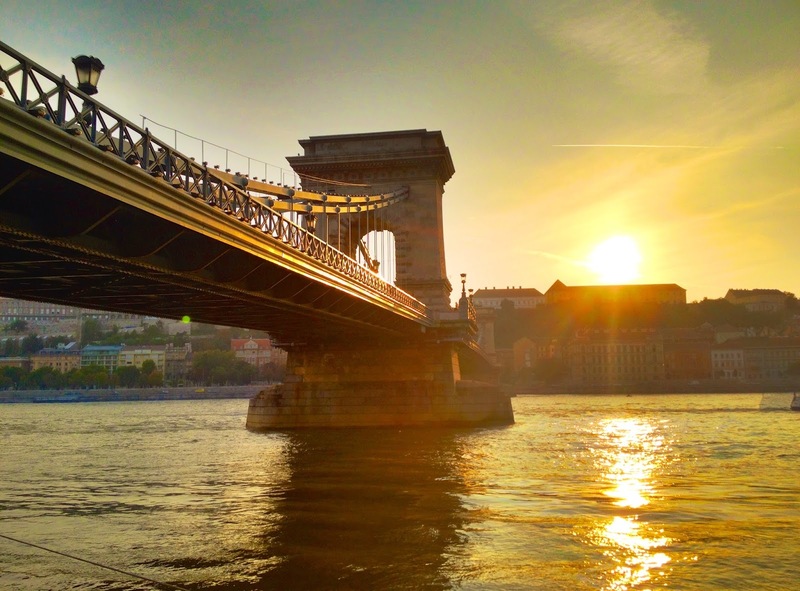 Today I'm going to share my trip to Budapest. I really didn't know what to expect in Budapest, but it ended up being my favorite city on the trip. It was SO beautiful and had AMAZING food. We started the trip off with a walking tour of the city. The tour was great! They took us to all over the city. 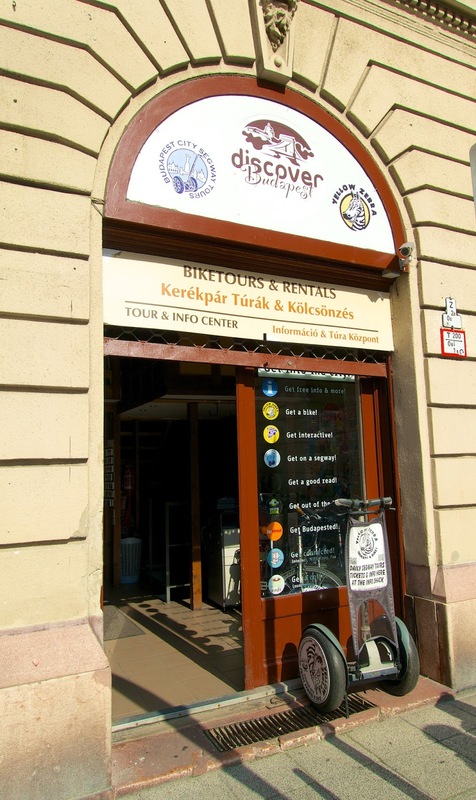 It really gave us a great starting point for exploring the city further. 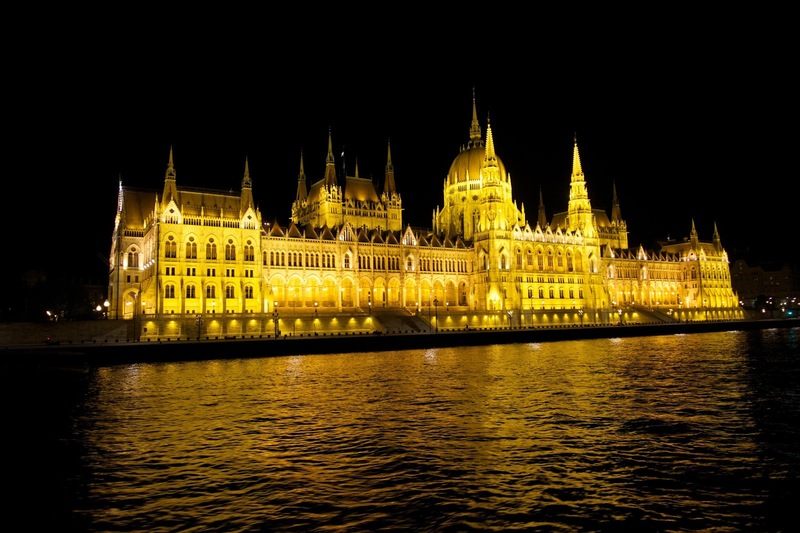 We also learned a few tidbits about Hungary - the Rubik's Cube was invented in Hungary; so was the ball point pen. 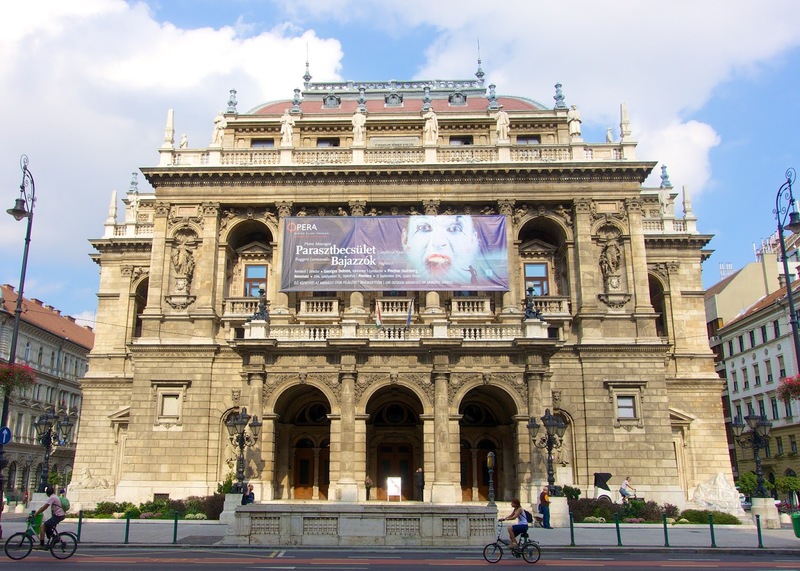 The Hungarian State Opera House is the largest opera house in Hungary. 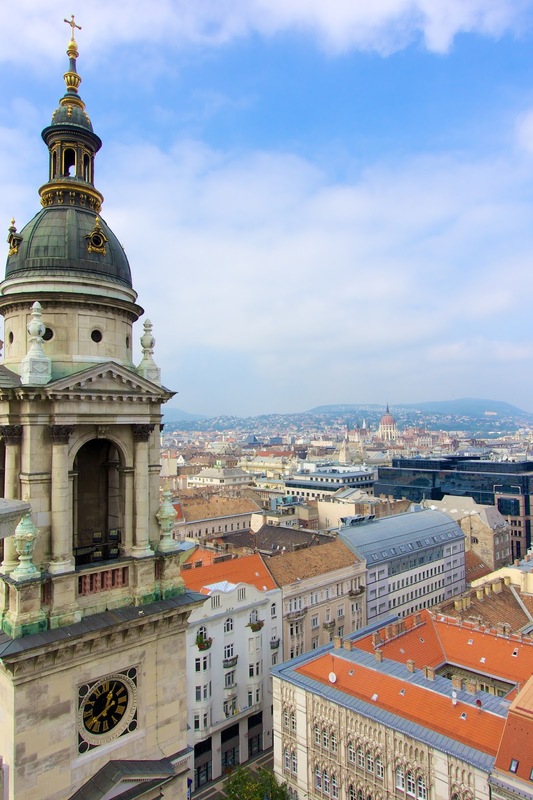 Construction began on the building in 1875, funded by the city of Budapest and by Emperor Franz Joseph of Austria-Hungary, and the new opera house opened to the public in 1884. 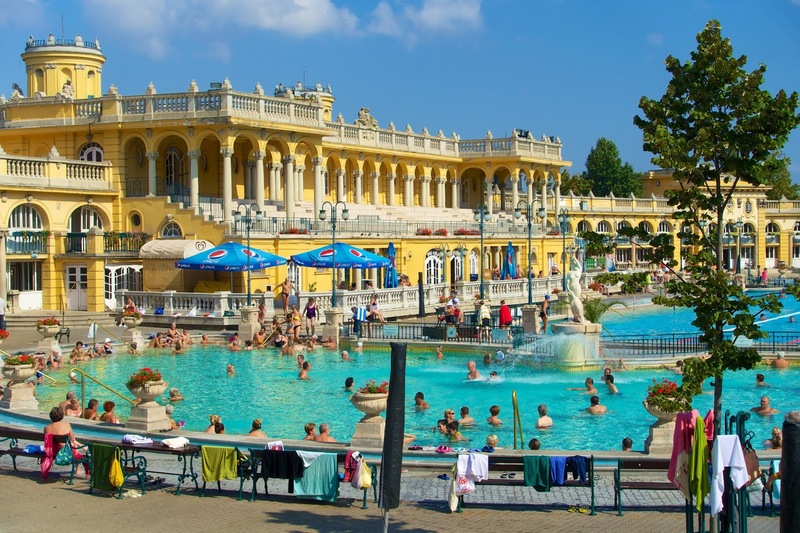 The Szechenyl Baths is the largest medicinal bath and one of the largest public baths in Europe. 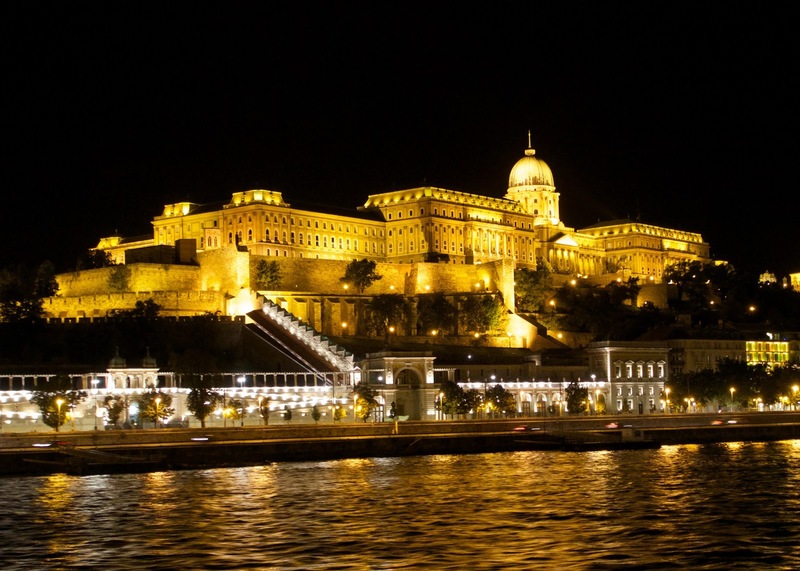 The first thermal bath in Pest opened here in 1881. It has since been expanded and now there are 18 pools, of which 15 are spring fed. St. Stephen's is a Roman Catholic basilica. 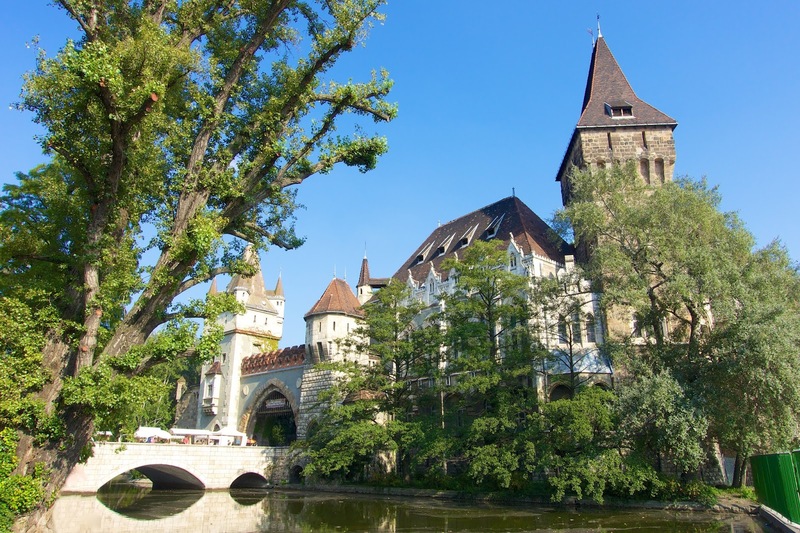 It is named in honor of Stephen, the first King of Hungary It was completed in 1905. 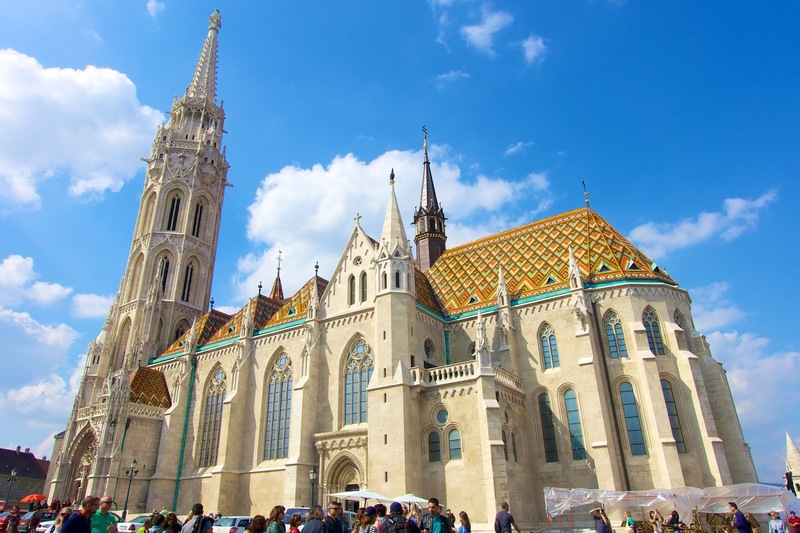 It is the third largest church building in present-day Hungary. The views from the top of the church are amazing! The millenial monument was built in 1896 to commemorate the 1000th anniversary of the arrival of Hungarians in the Carpathian Basin. 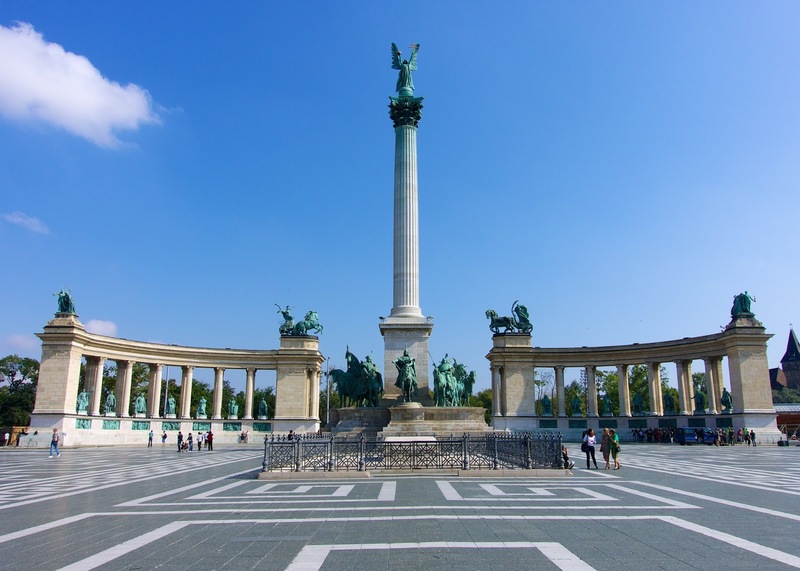 The two semi-circles include statues of kings, governors and famous characters of the Hungarian history. In the middle of Heroes' square stands a column with the statue of Archangel Gabriel on the top. At the pedestal the equestrian statues commemorate Árpád and the seven chieftains of the Hungarian tribes, who settled their people in the present territory of Hungary. 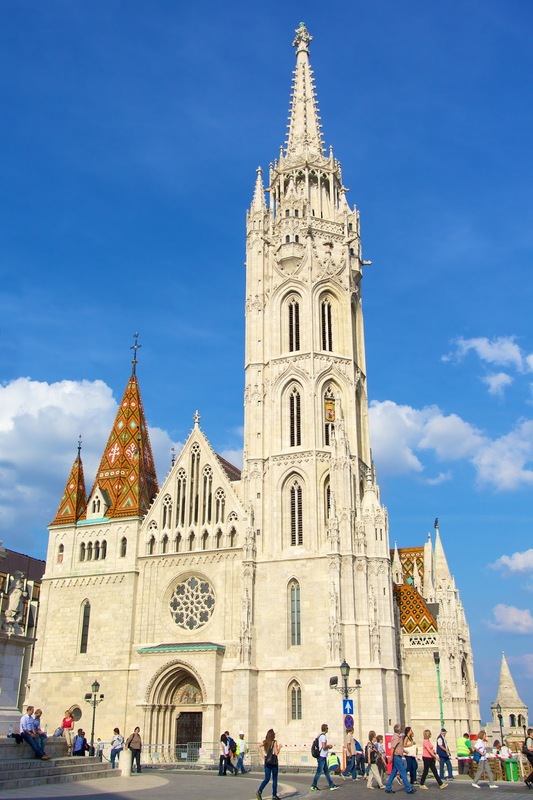 Matthias Church is14th-century church named for King Matthias, who married here. I absolutely loved the tile roof! 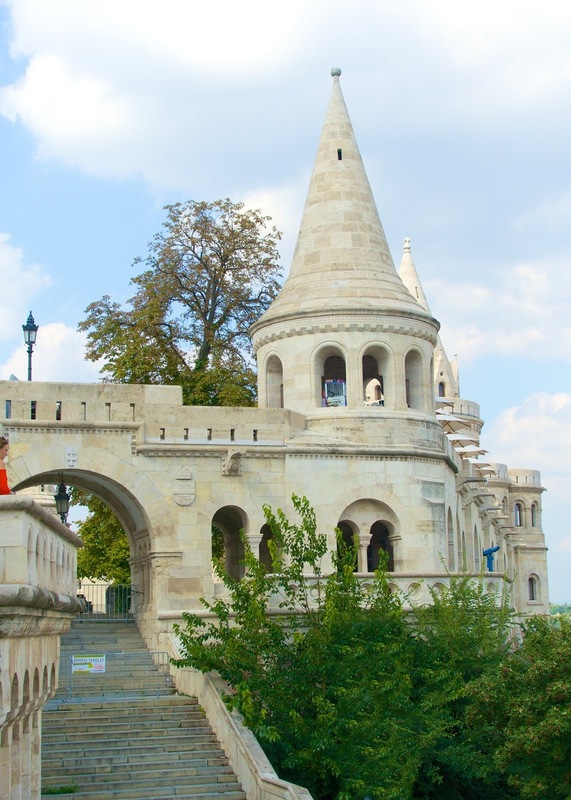 Fisherman's Bastion is a terrance that is in front of the Matthias Church. 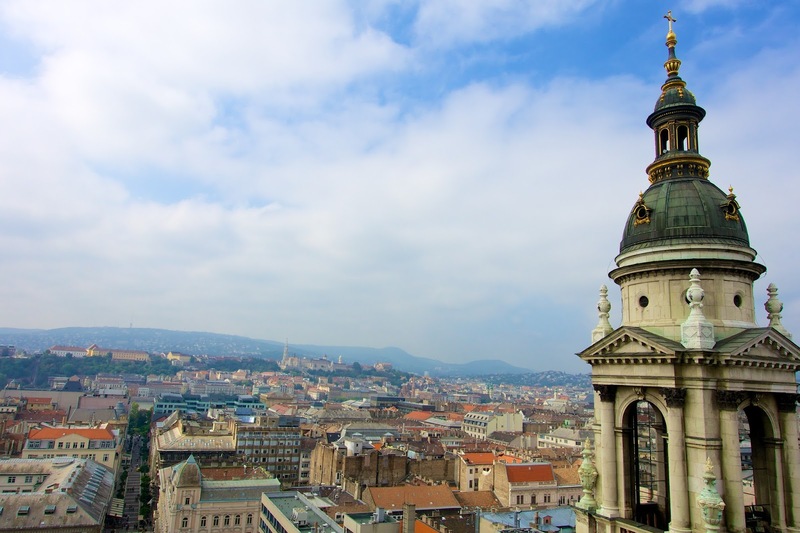 It offers amazing views of the Pest side of Budapest. 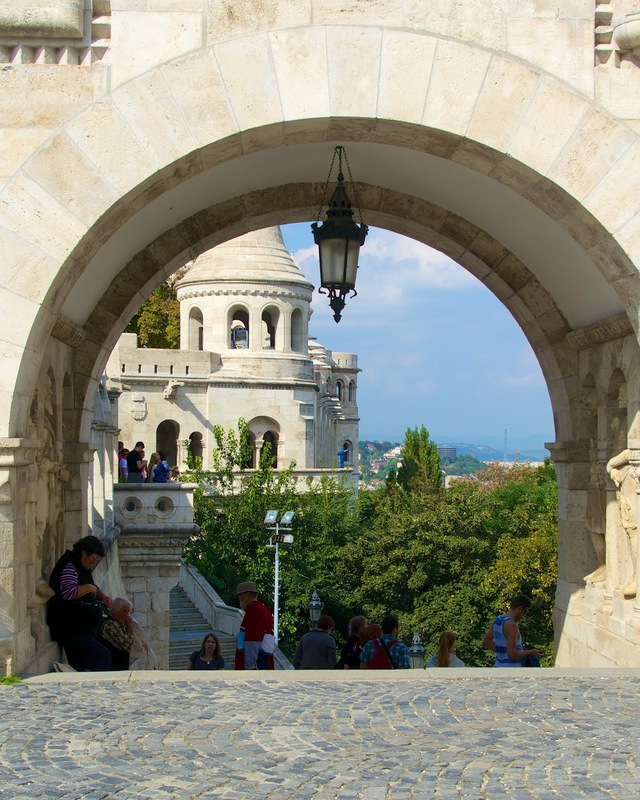 The best view of the Hungarian Parliament Building from Fisherman's Bastion. Ruin Pub's are a thing in Budapest. Ruin Pubs are formed in formerly abandoned buildings in the city, and are very popular hot spots. They are decorated with just about anything! The funkier the better. 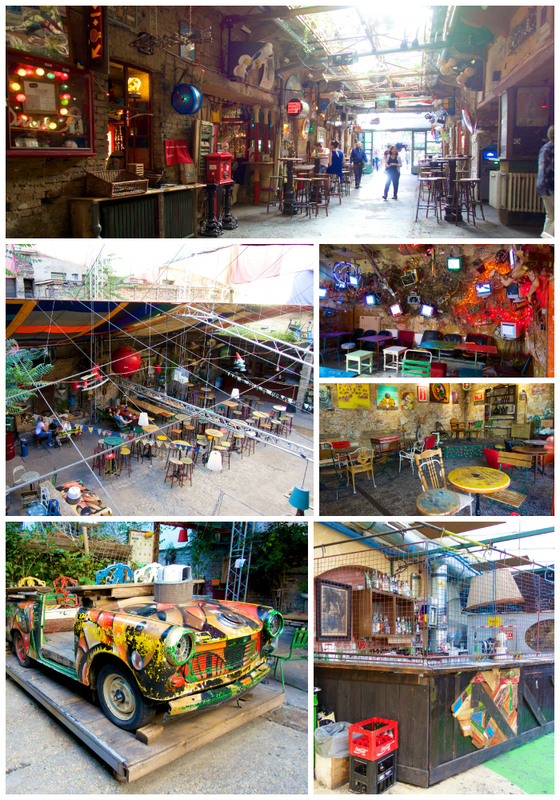 Szimpla Kert is one of the oldest ruin pubs in the city. I loved the old car in the garden area! 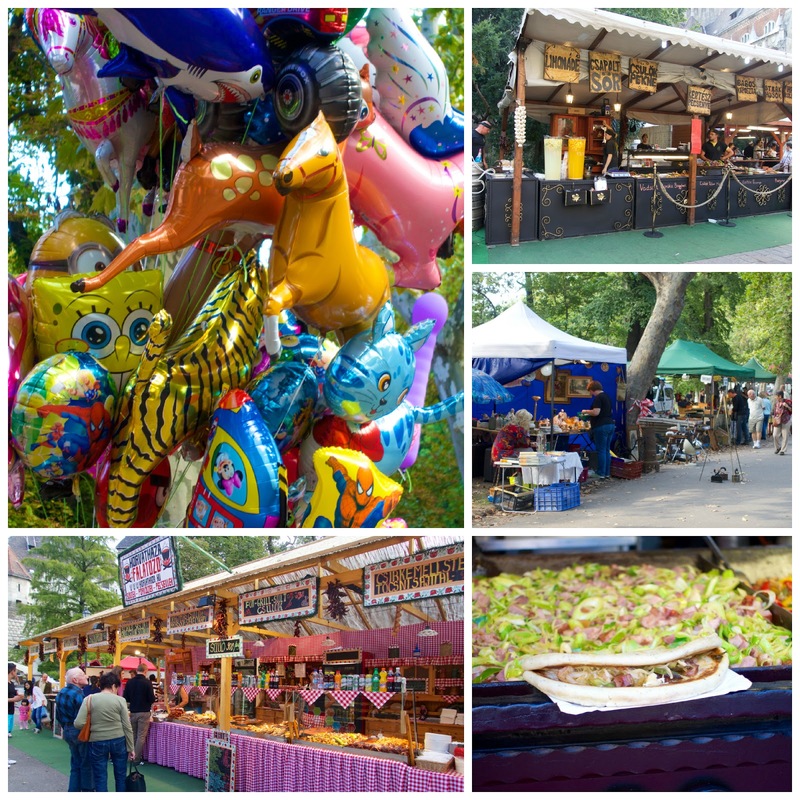 On Sunday, Szimpla Kert hosts one of the city's best farmers market. We planned on going, but didn't make it in time. The "castle" was built for the Millennial Exhibition, and it has been used to host the museum of agriculture starting in 1897. They were hosting a Fish and Wild Meat Festival. We walked around the grounds and checked it all out! The memorial honors the Jews who were killed by fascist Arrow Cross militiamen in Budapest during World War II. The Jews were ordered to take off their shoes, and were shot at the edge of the water so that their bodies fell into the river and were carried away. The memorial represents their shoes left behind on the bank. 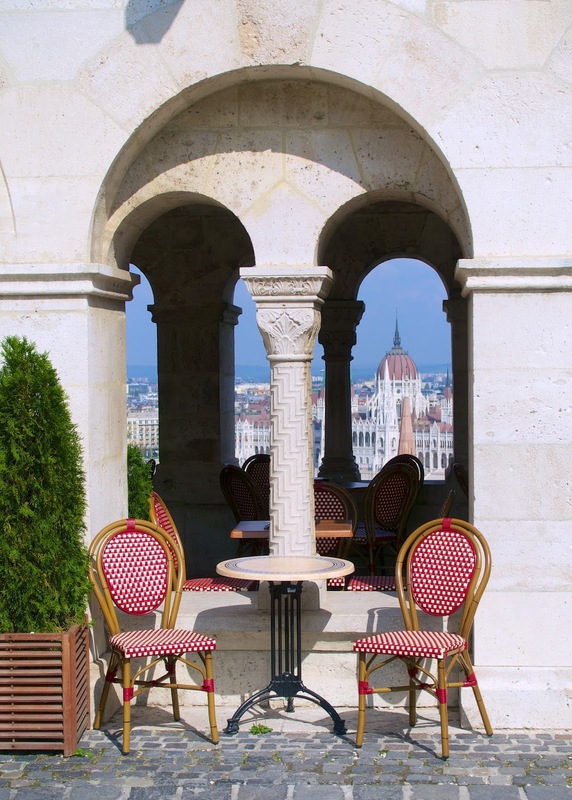 This was one of my favorite places in Budapest! We stopped in for a bottle of water and to pet all the kitties! The cats just roam all around the cafe and get love from all the customers. 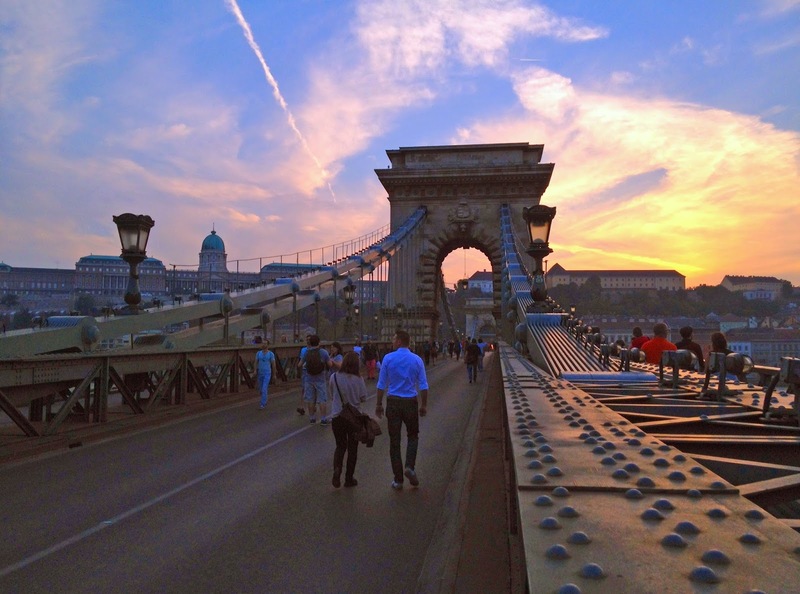 We made a point to be at the Chain Bridge at sunset. We lucked out and the bridge was closed to traffic. We were able to get amazing photos of the bridge! 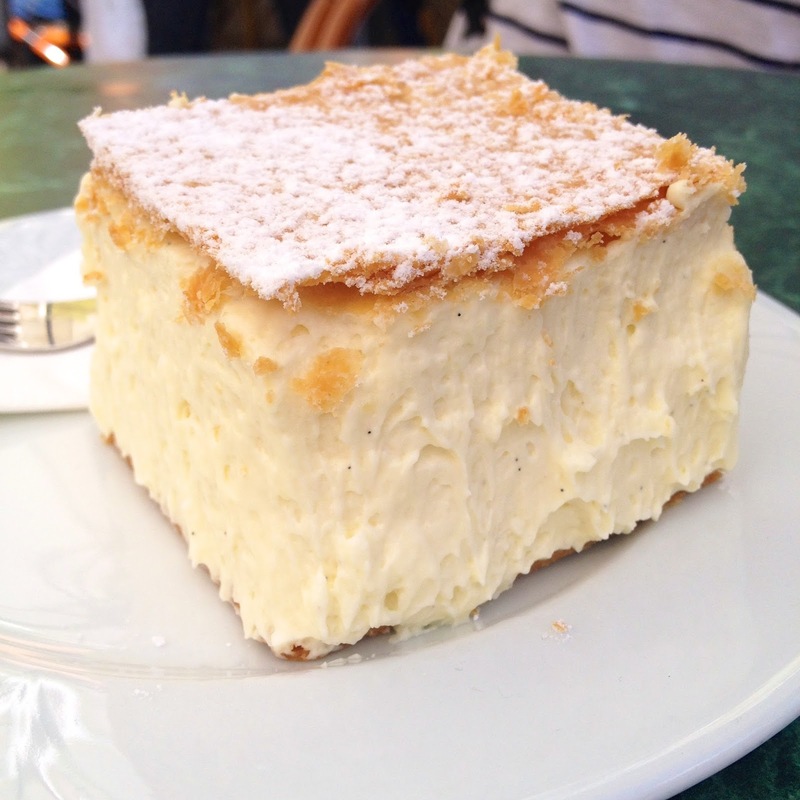 This was one of my top two favorite treats in Budapest. 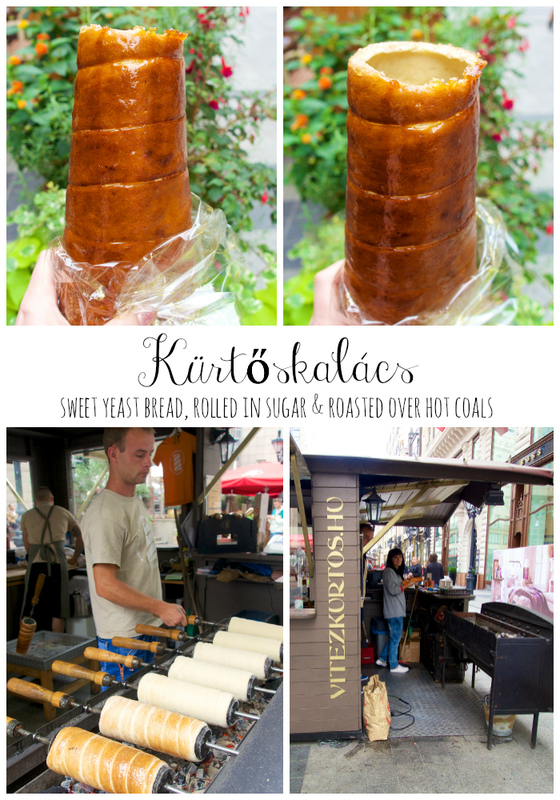 Sweet yeast bread, coated in sugar and roasted over coals. 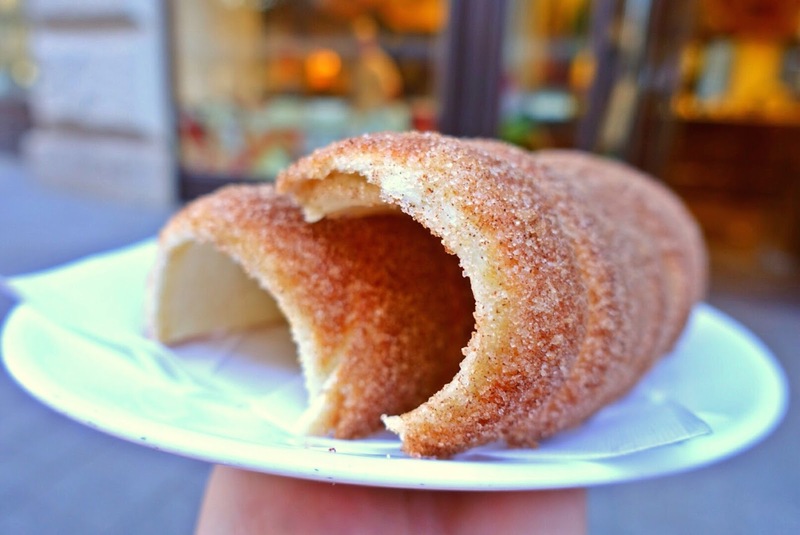 We went back for a cinnamon-sugar Kurtoskalacs before we got on the river cruise. Ruszwurm near Matthias Church had my other favorite treat. 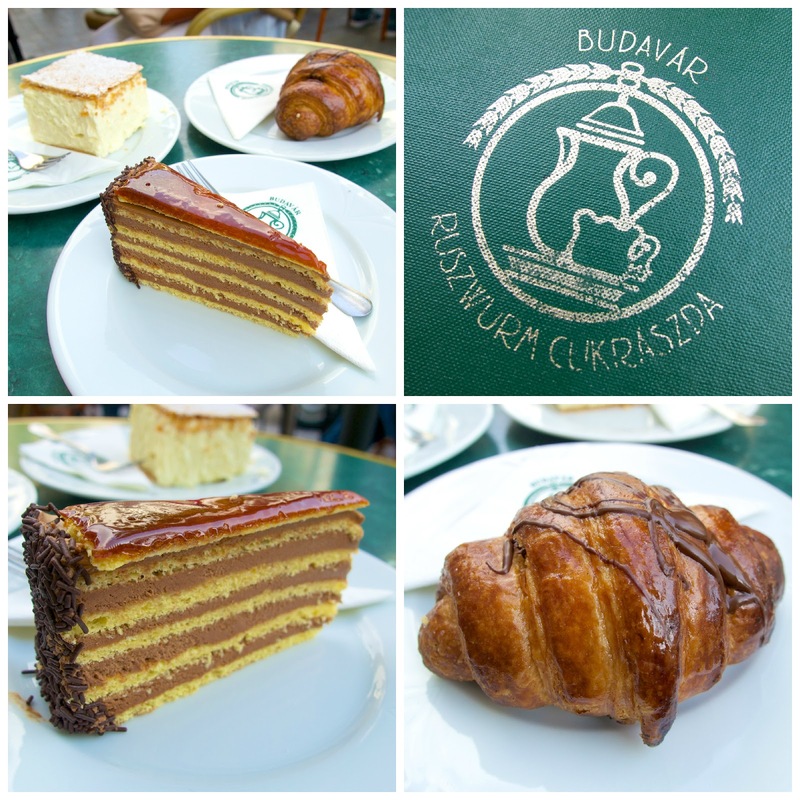 We sampled the Dobos torte, chocolate croissant and the Kreme cake. The Kreme Cake was out of this world delicious! We ate this twice. I could have eaten it every single day! I am going to try my hand at recreating it. 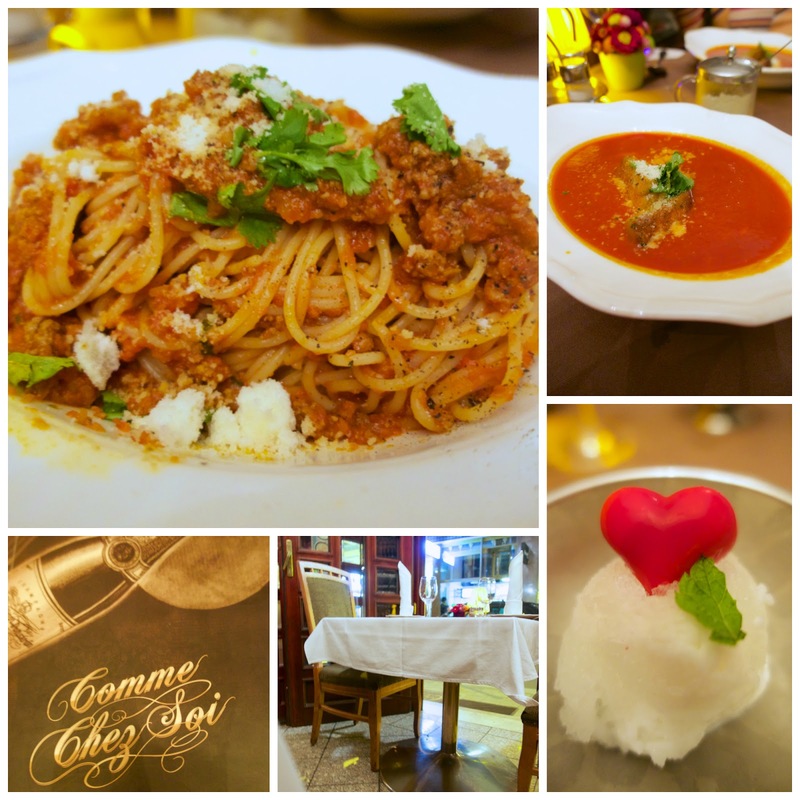 Comme Chez Soi was the best place we ate in Budapest. We tried to eat here one night, but we got turned away. They only have about 8 tables in the entire restaurant. We had to make a reservation for our last night in Budapest. It was worth the wait. The food was amazing and the service was even better. We were greeting with a glass of prosecco. We ordered dinner, and then they brought out a small appetizer sampler. I ordered the tomato soup and spaghetti bolognese. I could not stop eating it! After dinner they brought out a glass of dessert wine and a trio of small desserts. Finally, they served us a shot of limoncello. The bill arrived and the whole meal (both of us) was only about $41. Incredible! 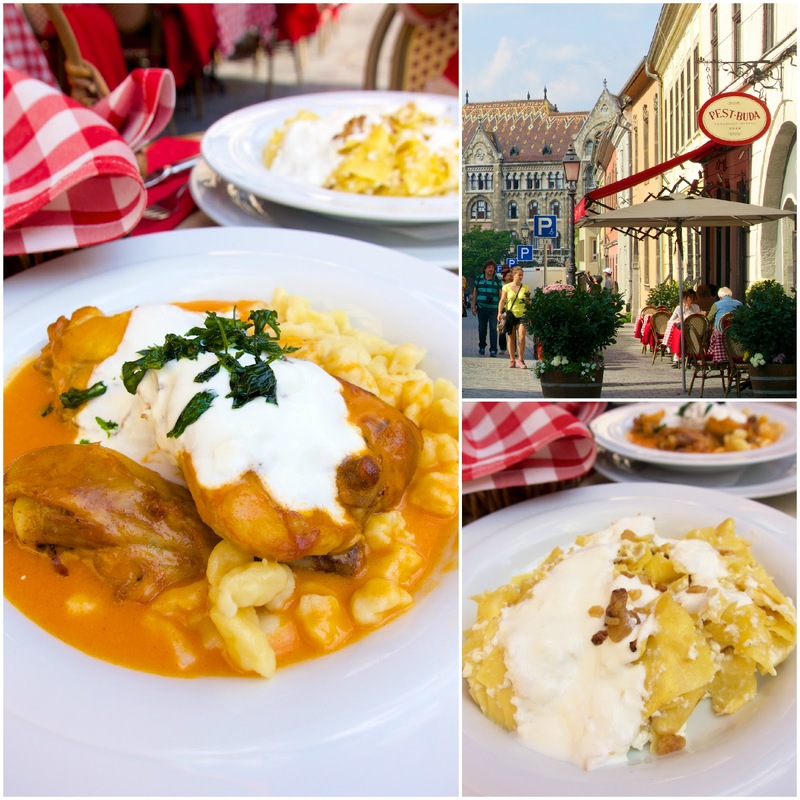 If you only eat at one place in Budapest, please make it at Comme Chez Soi! 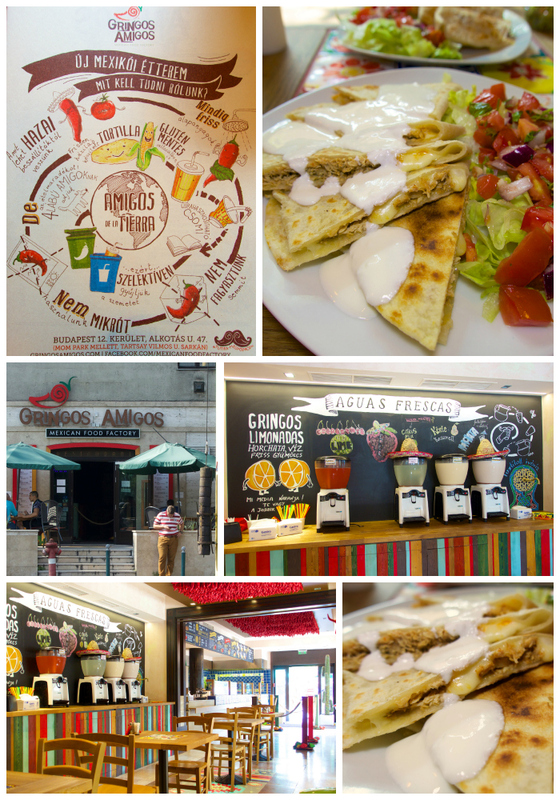 Gringos Amigos was similar to Moe's and Chipotle. You order at the counter and they assemble your meal. Everything is made fresh in the store. I couldn't get over the sombreros on the juice dispensers. 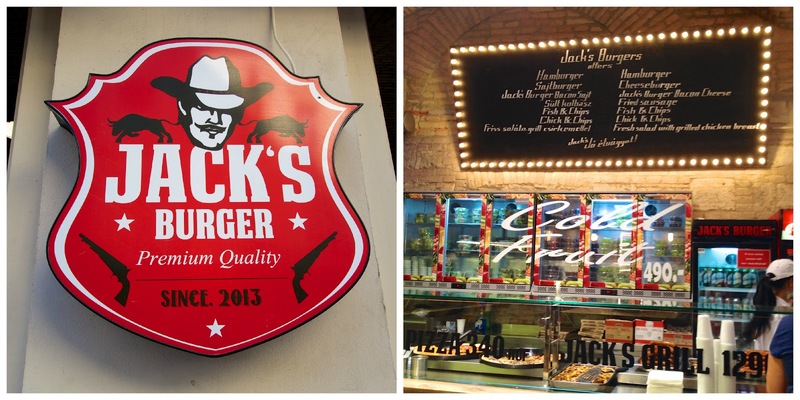 We kept passing Jack's Burger and finally gave in to the temptation. 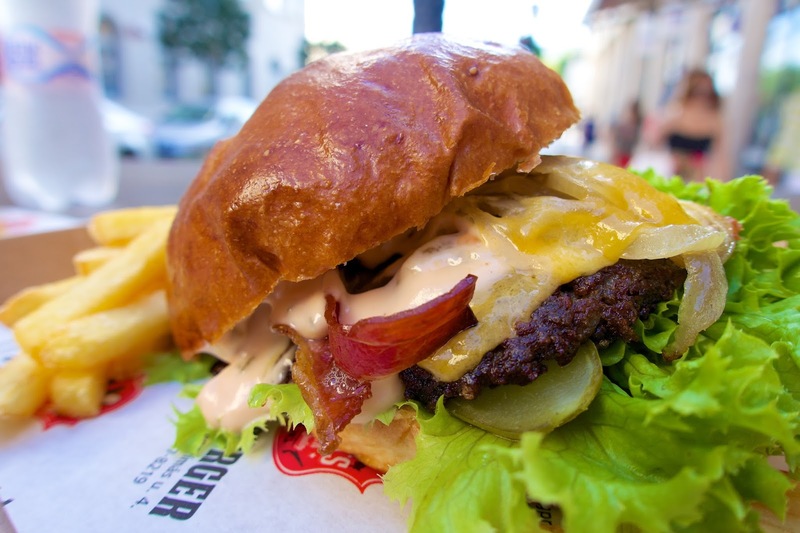 The burger was YUM! We loved the crispy bacon and yummy Jack's sauce. This was the prettiest gelato I've ever eaten. Everyone was taking pictures of their gelato - not just crazy food bloggers like us. The gelato was not just pretty, it tasted great too. 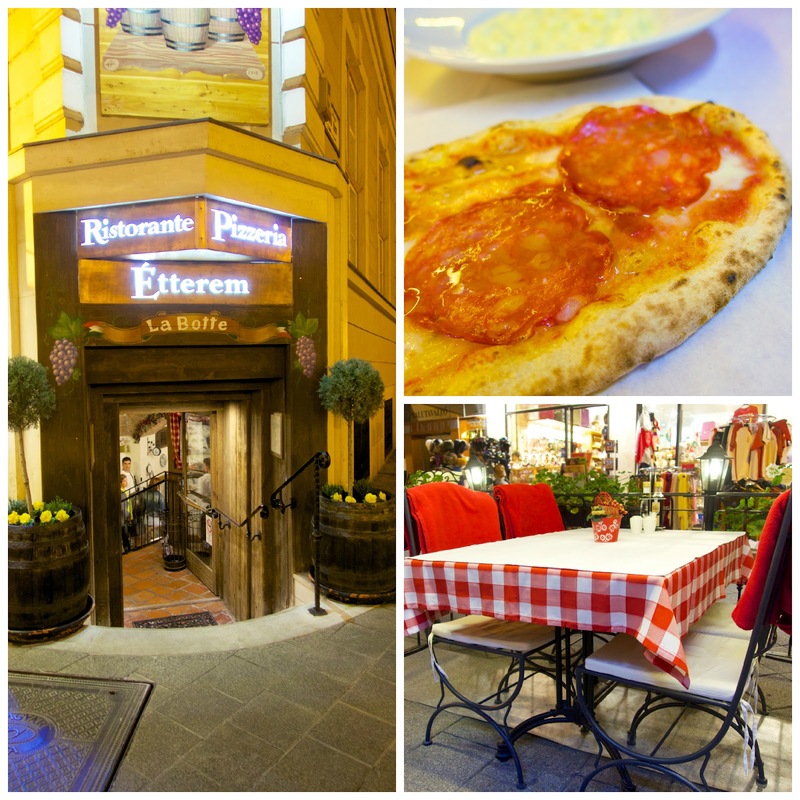 Gelarto Rosa is located next to St. Stephen's Basilica. Pest-Buda is located near Matthias Church. The chicken paprika was delicious! I need to make it at home. I'm on the hunt for a good recipe! La Botte was near the hotel. We split the pizza. It was huge. We got the spicy salami, and it was super spicy! The food was good as was the service. We discovered langos while we were in Sweden. 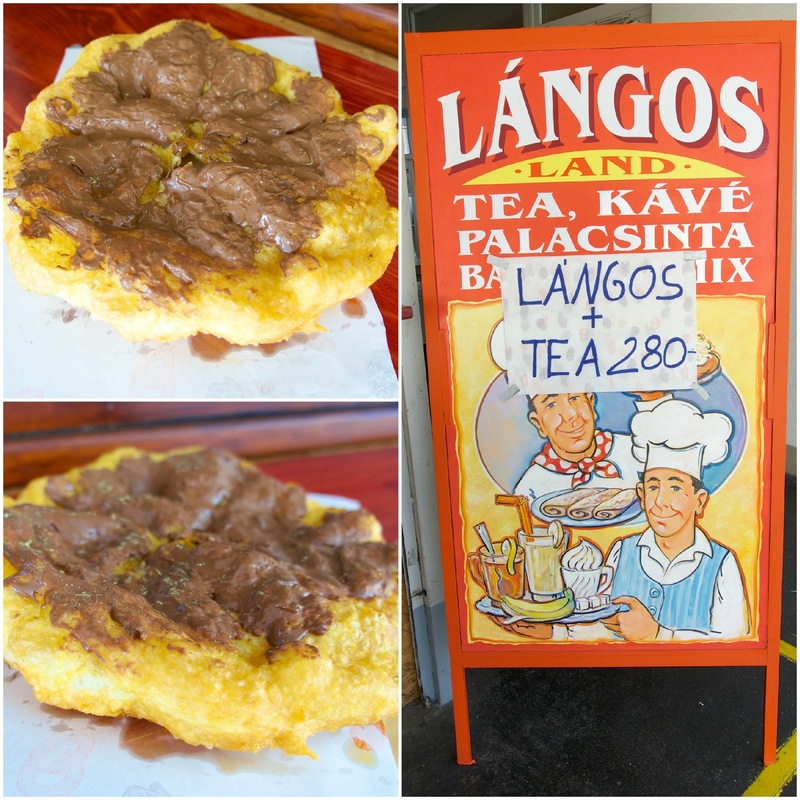 Amanda found a site that named Langos Land the best langos in Budapest. We hopped on the bus and headed over. Langos Land is located in the Feny Street Market on the third floor (4th floor for us Americans). They don't do sweet langos, but Amanda convinced the guy to make us a Nutella langos. I'm so glad he did - it was delicious! 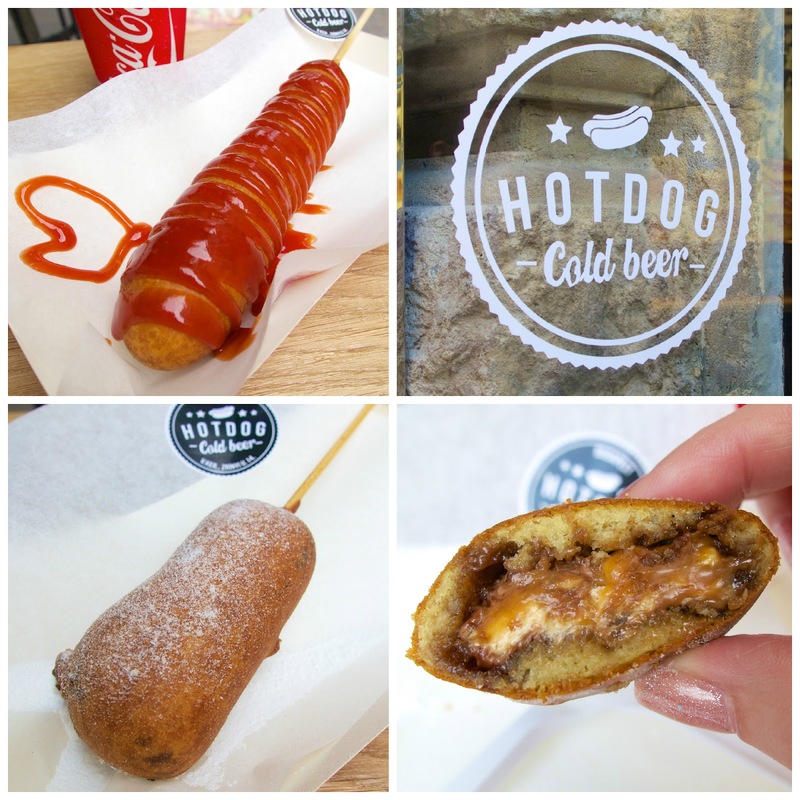 We passed Hot Dog Cold Beer on our walking tour. 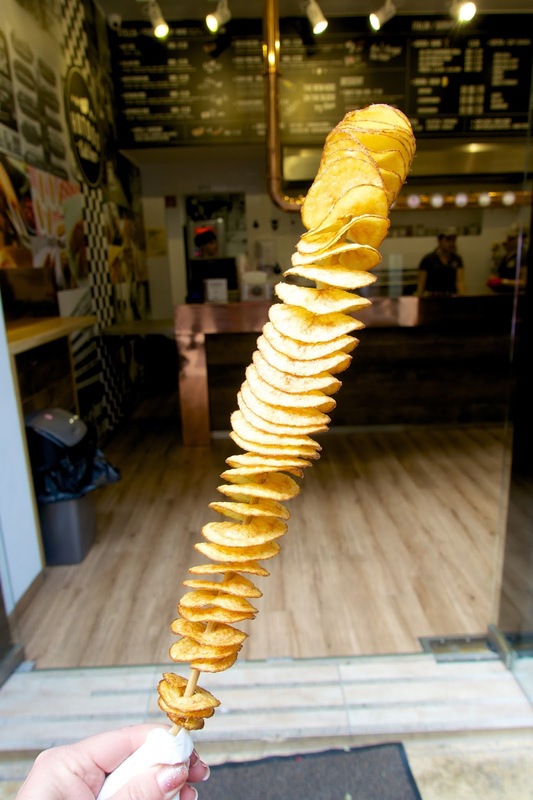 Once we saw the chips on a stick we put it on our list of places to eat! The chips were SO good! We each got a corn dog and then split the fried snickers! 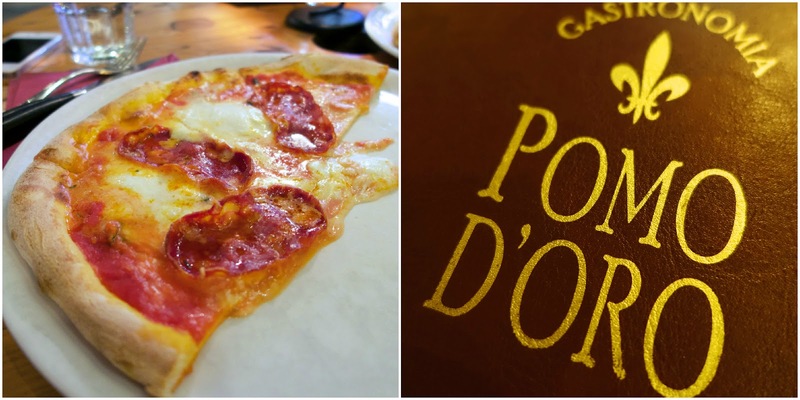 Pomo D'Oro had one of the best, if not the best, pizzas I've ever eaten. The crust was crispy and chewy. We got fresh mozzarella and pepperoni. Amazing. We split the pizza, but we both could have easily scarfed down a whole one ourselves. 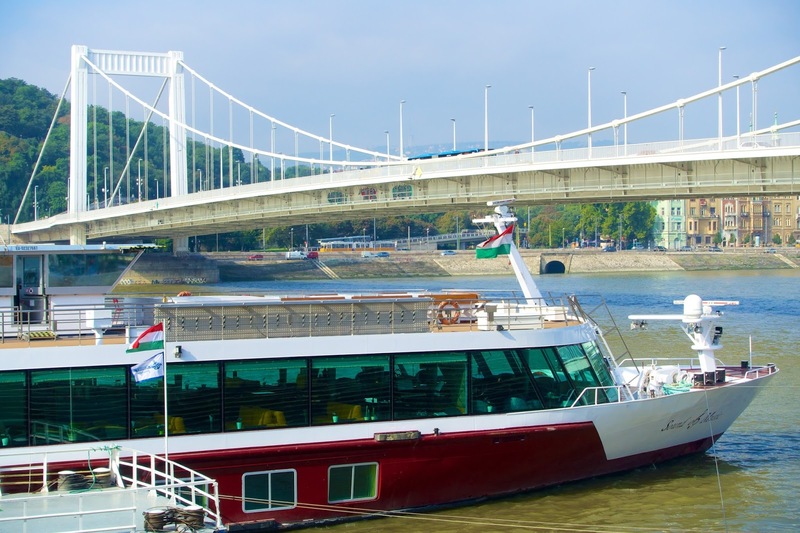 After 4 days on our on in Budapest, it was finally time to start our river cruise with Gate1 Travel. We boarded the Sound of Music and set sail! We had the most amazing views of Budapest on our way out of town. Stay tuned for the river cruise next week! Dear Steph, What fabulous photos. They are stunning. 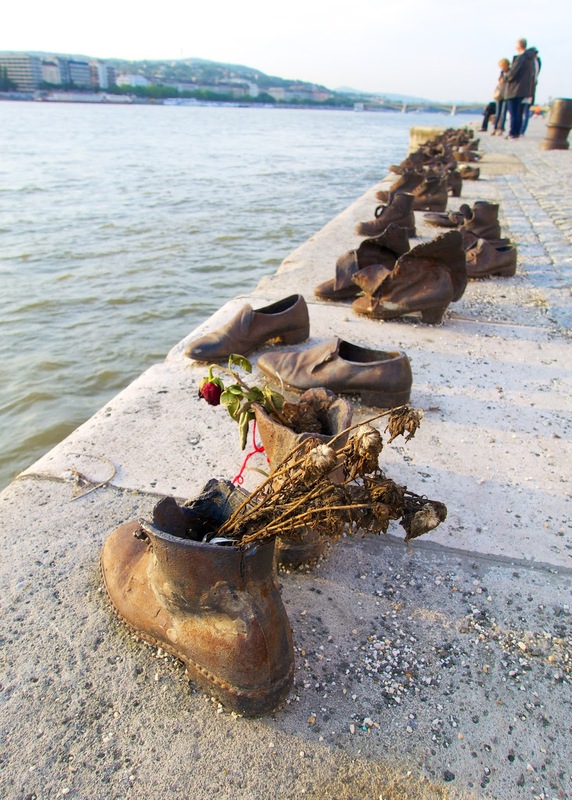 The "shoes on the Danube" are heartbreaking. I'm 1st generation American and my people are from Eastern Europe. Would so love to see the whole area just once. Really enjoyed your pictures. I enjoy your photos of your travels so much. Especially the food pictures. After viewing them I feel like I've been on vacation. Can't wait to see how you replicate the cream cake! Yum! 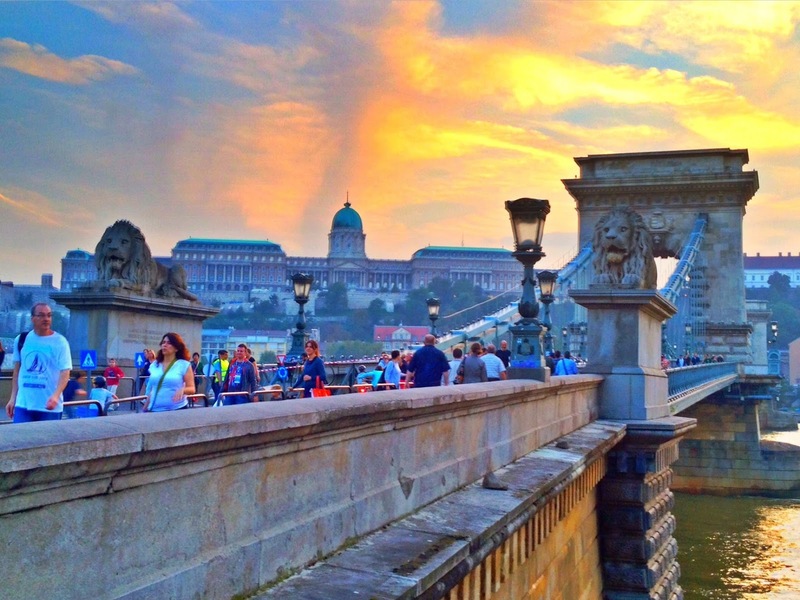 I so want to go to Budapest after looking through your pictures! What beautiful architecture. 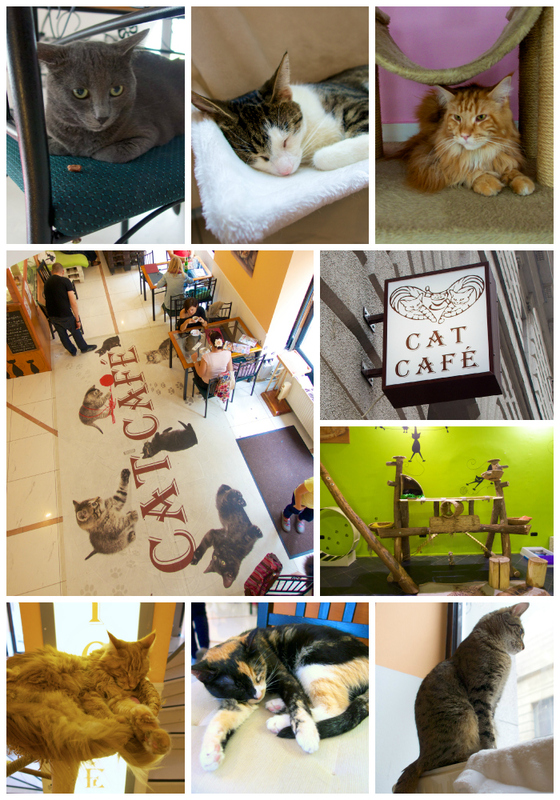 If I get a chance to go I'm heading straight to The Cat Cafe. How awesome is that place? And I'm drooling over that sweet yeast bread. 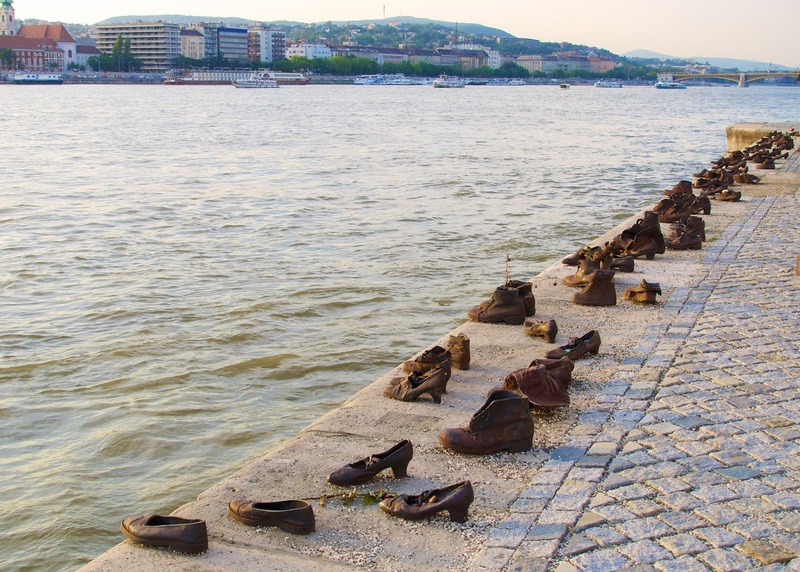 Budapest is beautiful, but what a heartbreaking shoe memorial. Oh my heavens. And I, for one, am so glad you're back home! I am so glad to be home too! Looking forward to catching up this coming weekend! Can you please share your recommendations for the hotel or B&B you stayed at? Thanks so much! we stayed at the Bohem Art Hotel - it was in a really good location. The only bad thing was that they didn't have a secure luggage storage. They just had a room that was wide open to keep your luggage in before or after you checked in or out. Thank you Ma'am!! I can't wait to run home tonight and show my husband this. I can't remember the name of the hotel we stayed at....but I'm sure I have it in my notes. He is the photographer and I am the note writer (for my sake...not his. he has a great memory). We also did a River Cruise on the Rhine River. Although it was well worth the money, we feel slighted because we can't stay ashore long enough to our liking. I look forward to your next post! I felt the same way - I wanted much more time ashore too! 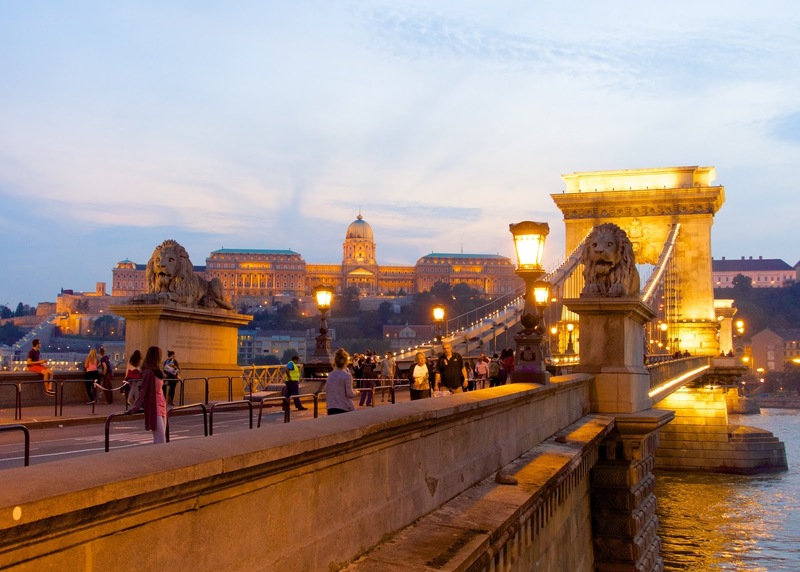 I passed thru Budapest for only a day 20 years ago and have always wanted to go back, thanks for reminding me of how awesome it is, I need to go back there very soon! Fabulous post. I'll be back to pin many photos. 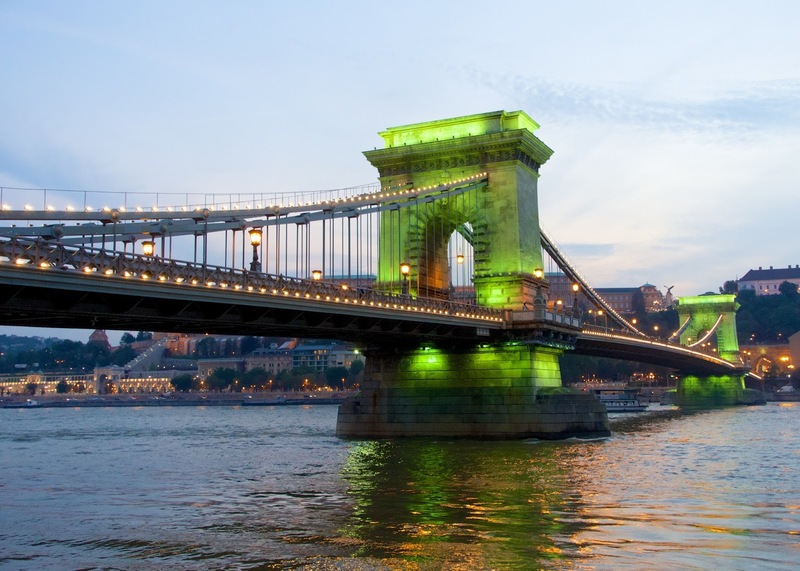 I am pumped to visit Budapest now. What a great trip. Incredible pics of the scenery and the food!!!! 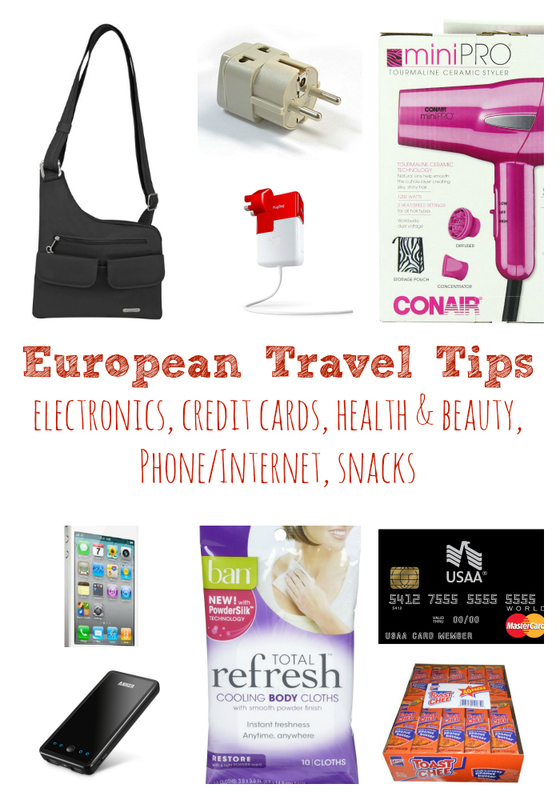 Travel advice would be appreciated. Clothes choices, camera, equipment and computer etc. I drove myself crazy posting instagram pics with my phone and making pics with my heavy camera of many of the same shots on our recent trip to France. Between charging camera battery, cell phone and downloading pics on my laptop each night it was challenging to have enough plugs in our hotel rooms. I am intrigued by your smaller camera. Found you from Amanda's blog. My camera is great. Takes amazing photos and you can shoot in full manual if you prefer. I take it everywhere! I got to your blog via Amanda's blog. 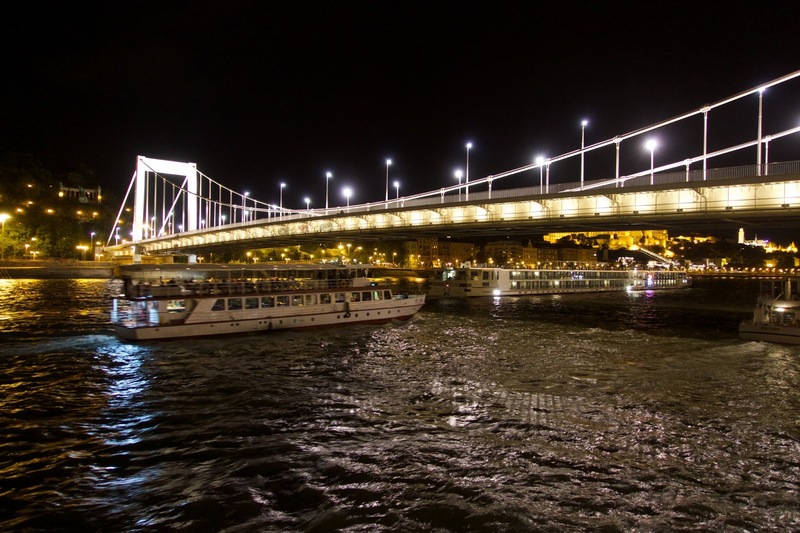 I went on a cruise down the Danube from Budapest to Amsterdam. 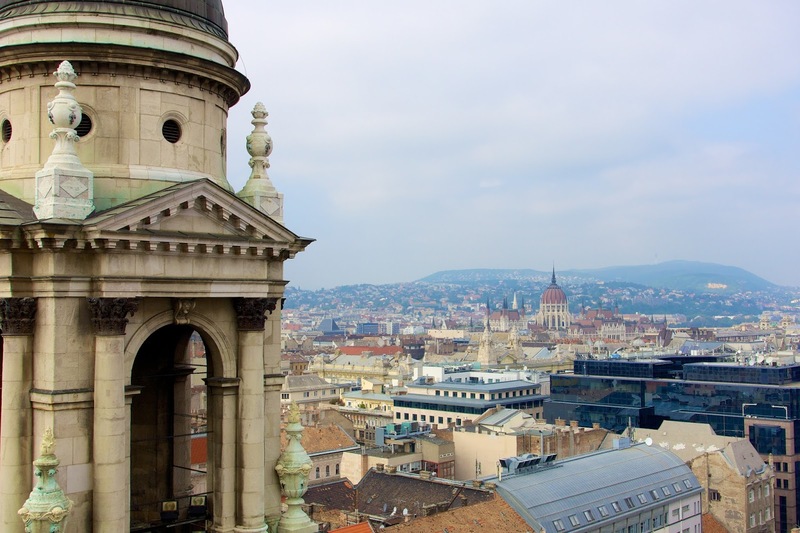 We spent a few days in Budapest and loved it also. It was not what I expected. Your pictures are great! Lisa - thanks! I'm so glad you came and checked out my trip to Budapest. 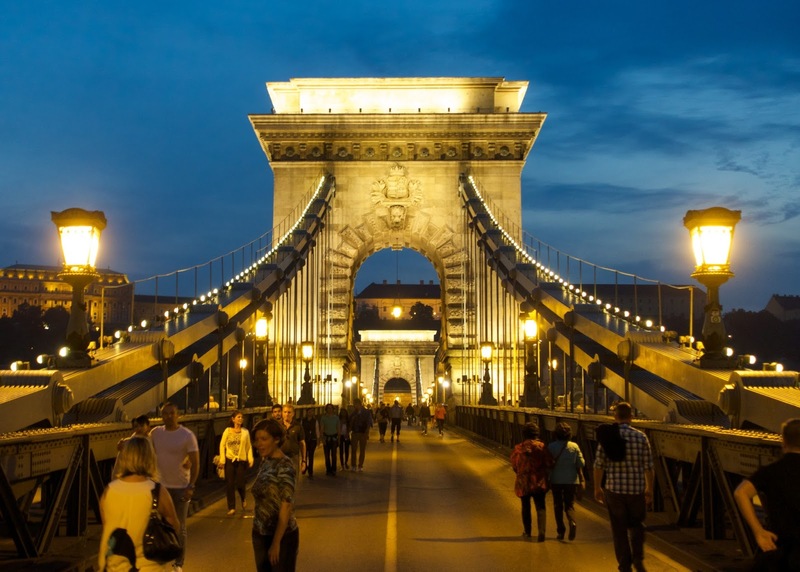 I never considered Budapest before this post, but now I've not only added it to the list of where I'd like to go, I've moved it near the top of the list. 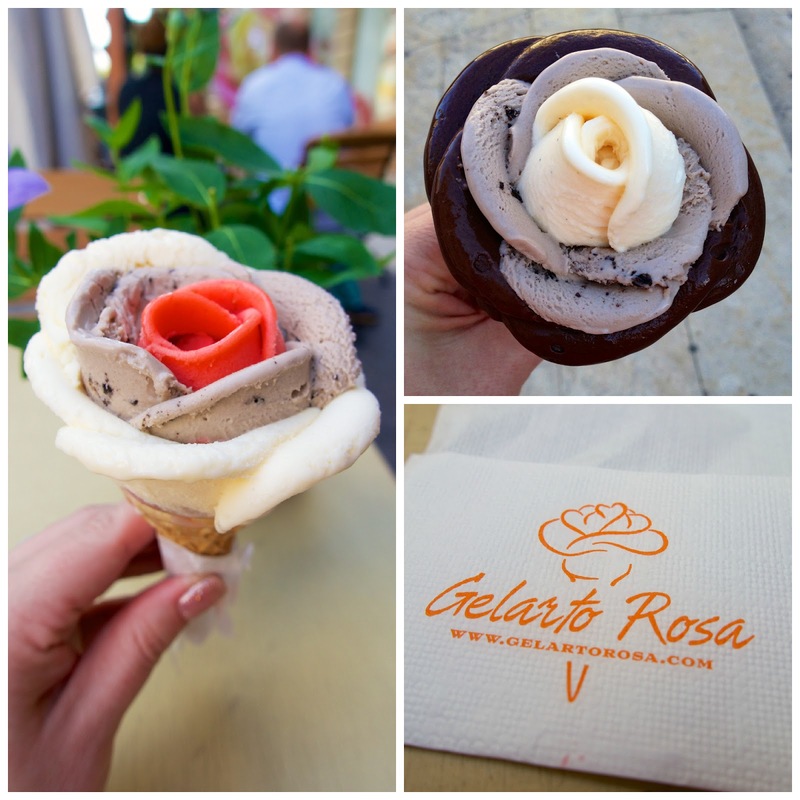 Everything is stunning from the architecture to the food (Gelato Roses?!?!?!) I need to get there soon! Oh my gosh there is not nearly enough room for all my thoughts upon reading this! First your photographs 'tell the tale' of this extraordinary place brilliantly! The architecture is amazing and it seems one incredible venue after another. The food looked fantastic! My breath was taken away by the photographs of the shoes by the water. So profound. 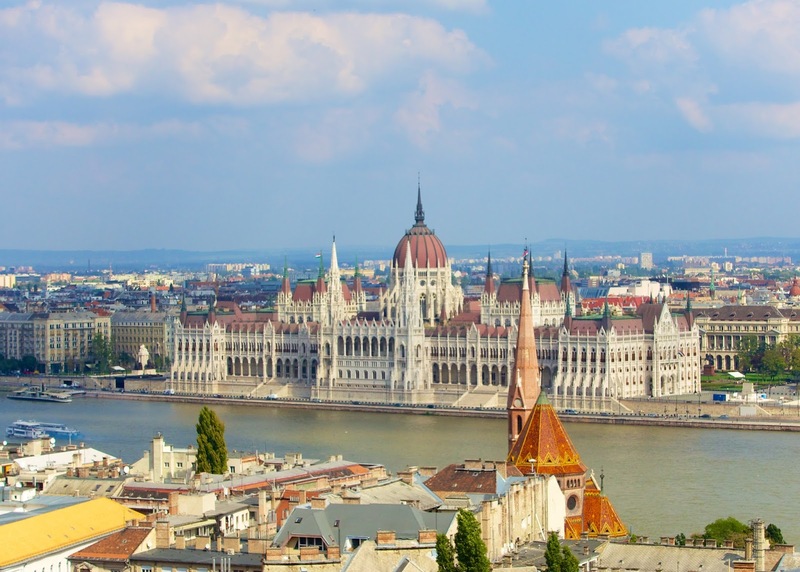 You've certainly piqued my interest in visiting Budapest with your beautiful and informative post. All lovely pictures n the way you shared views, really impressive. 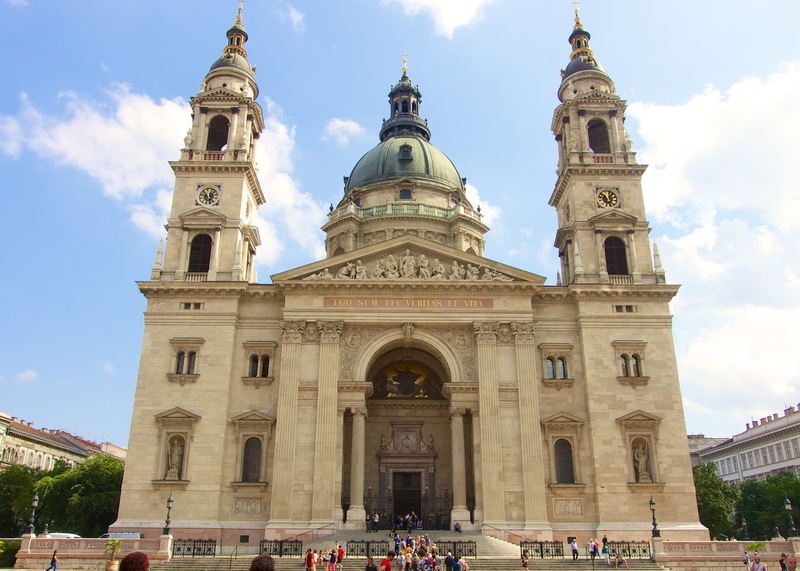 I decided to visit Budapest in my earliest.